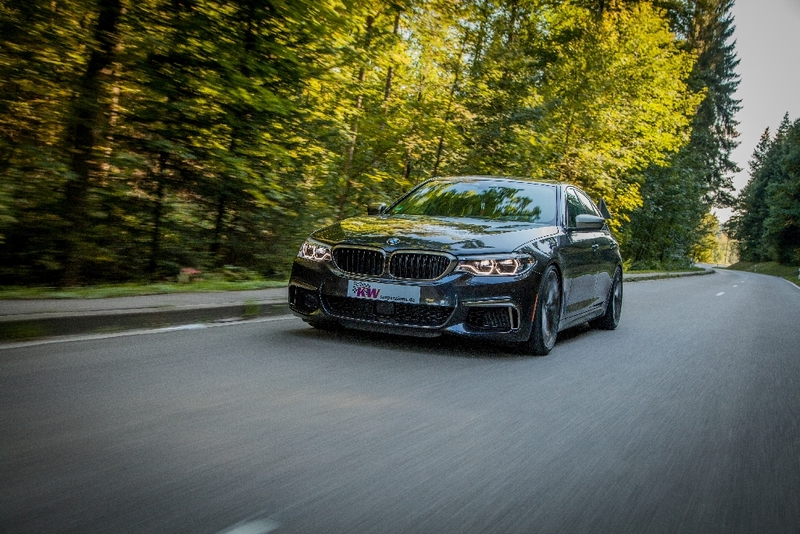 As one of the first manufactures to develop aftermarket suspension for the BMW 5-Series (G30), KW automotive has now developed coilover suspensions for all BMW 5-series (G30) sedan four-wheel drive models. 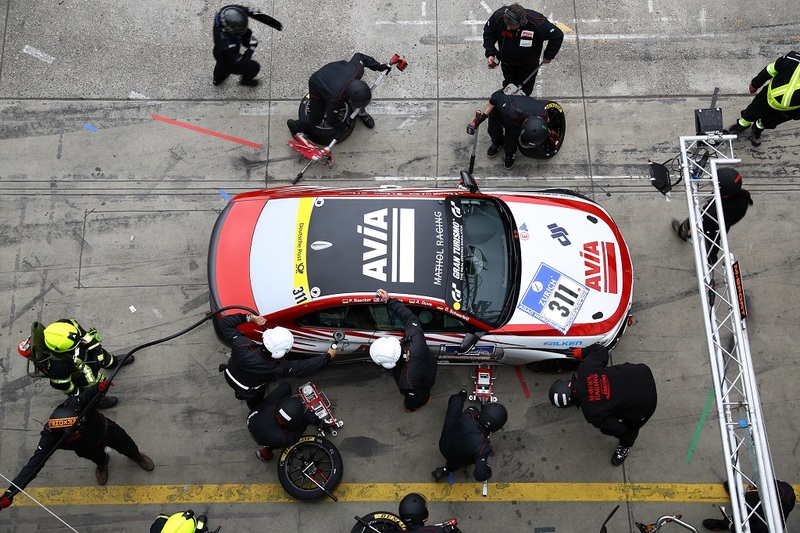 We developed various aftermarket suspensions for numerous BMW models and works directly with the Munich car manufacturer on various special models including motor sport projects. 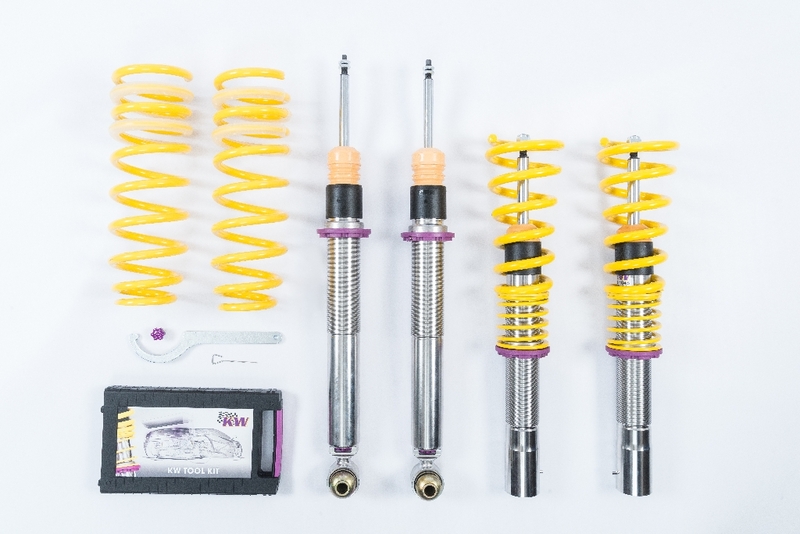 For example, KW supplies dampers for the BMW M235i Racing that are independently adjustable in compression and rebound damping for the official BMW customer motorsport program. 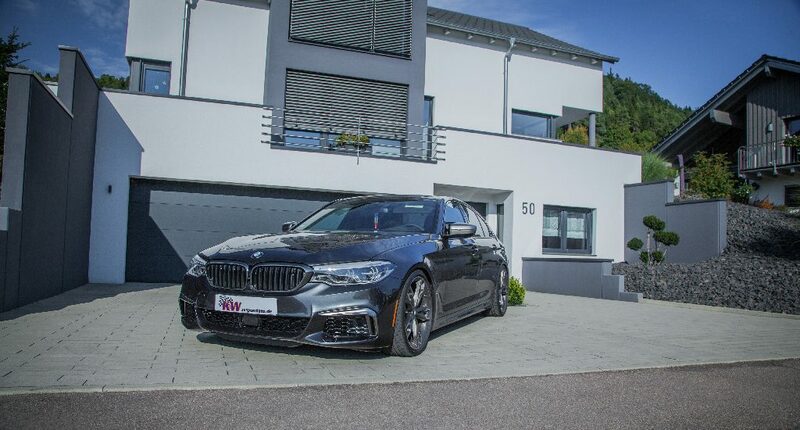 Drivers of the BMW 5-series (G30) with all-wheel drive, who want to upgrade their xDrive sedan with KW Variant 3 coilovers and lower it by up to 55 mm, will also benefit from this cooperation. With our suspensions from the ‘Street Performance’-program, the basic setup is always as tight as necessary and as comfortable as possible. 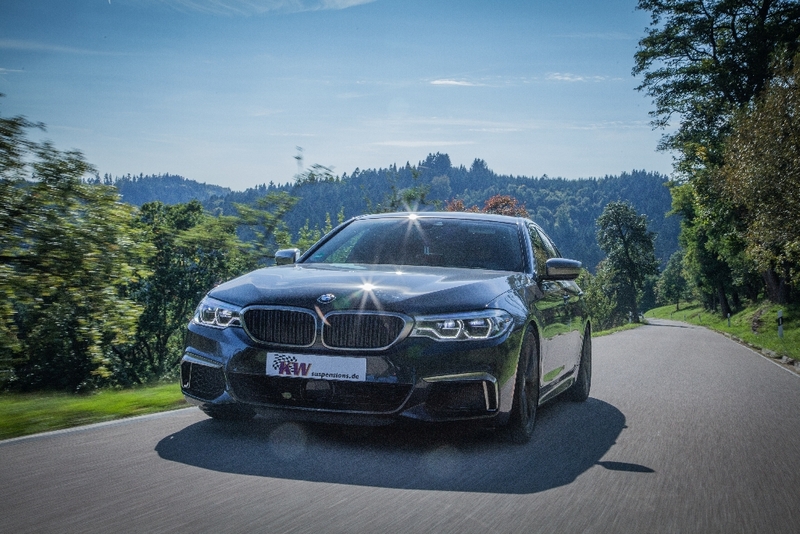 With our Variant 3, the new BMW 5-series drives sporty and comfortable. KW has achieved this by using several valves in the dampers. For the Variant 3, pre-configured high-speed compression valves are used, which only open when driving over large obstructions or bumps, allowing the damper to rapidly absorb the bump by passing large amounts of fluid through the valve immediately. This way we achieve that even at a maximum lowering, the high-speed valves open and the wheels deflect when driving over bumps or large transverse joints. In such driving situations, the 5-series sedan can be driven safely and track stable even at the limit. 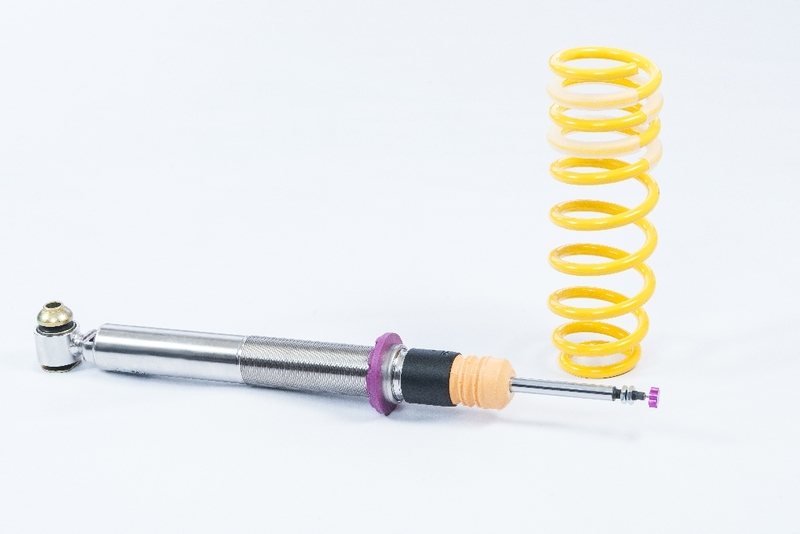 Through the TVR-A (Twin Valve Rebound – Adjustable) the rebound damping can be tightened or softened with 16 clicks with the rebound adjustment wheel at the upper end of the piston rod. With lessened rebound, the comfort is increased, while with a higher rebound, the handling is further improved and the body roll is reduced. This improves the steering precision even at very high speeds. 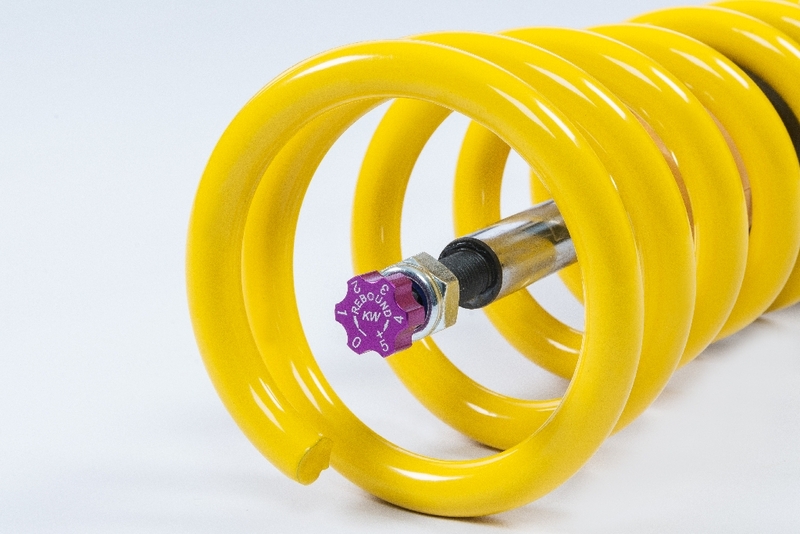 In addition, the patented KW TVC-A (Twin Valve Compression – Adjustable) allows adjustment to the low speed compression damping. 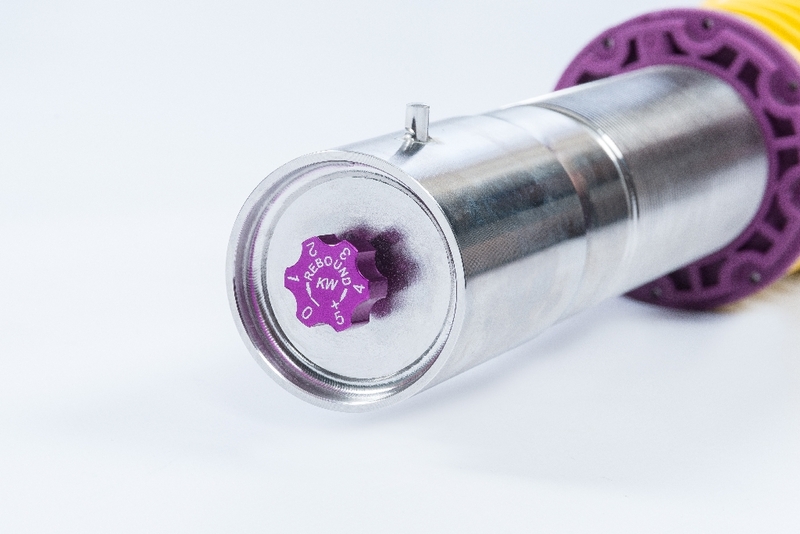 The compression level can be adjusted with twelve clicks, via the integrated adjustment wheel directly on the stainless steel housing. This is separate from the rebound damping, so that even in extremely demanding maneuvers, the pitching and rolling movements hardly occur. In addition, a higher compression stage on the front axle supports an even more direct steering and on the rear axle it counteracts oversteers. The BMW 5-series xDrive (G30) sedan can be lowered by 30 to 55 mm on both front and rear axles with our KW Variant 3 coilover kit. 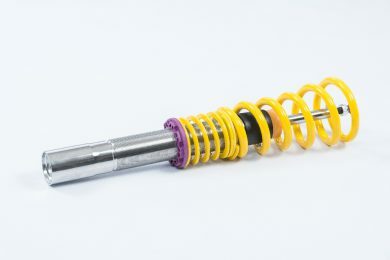 At our Website www.kwsuspensions.net, you’ll find all information about our KW DDC Variant 3 coilovers. 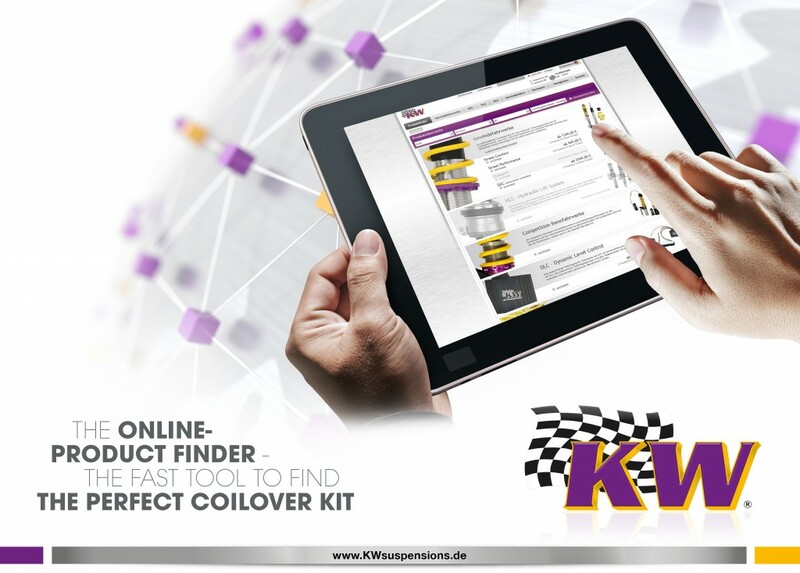 Simpy dial your BMW 5series (G30) or get in touch with your local KW dealer via our dealer search.